I'm going to say something controversial; I think Alan Partridge might have been wrong when he called Lexus the Japanese Mercedes. 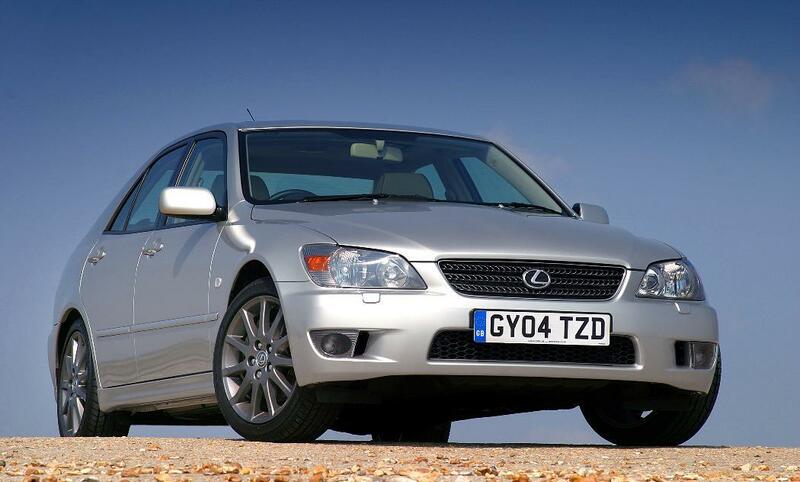 Instead consider this, Lexus, particularly my car of the week is more the Japanese BMW. 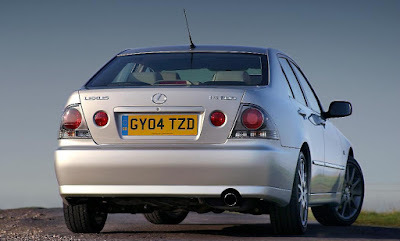 Ladies and gents I give you the Lexus IS200. It's all in the DNA of the IS200 that I reach my conclusion, attractive 3 box sedan, straight 6 up front, the option of a manual gearbox in the middle and power going exclusively to the rear wheels. All traditional BMW ingredients but wrapped up in a Lexus package the IS is cruelly overlooked, let me share with you it's merits. First off we have excellent build quality, remember people Lexus is just a posh Toyota, makers of those "unbreakable" Hilux's and god forsaken Camry's. I harp on about European cars being reliable if you look after them, but with Toyota underpinnings a Lexus will probably just keep running in spite of you. And whereas a BMW might start to show some electrical niggles like dead switches by its 17th birthday you can bet an IS's rear passenger electric window button will just keep on going. Again not wanting to sound to hypocritical, I do believe in the affordable Euros, but a Lexus part is likely to cost you less come fixing time than a European one. 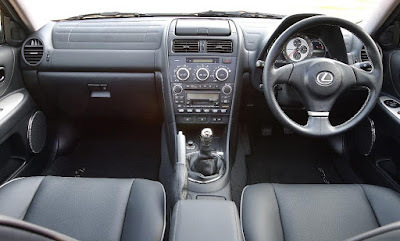 Where the Lexus might not shine so greatly is the way the interior has aged, cheap feeling plastics and faux aluminium trim are a far cry form the quality of a contemporary E46 3 Series but a leather sports wheel and luxuries like duel zone climate control, cruise control and electrically adjustable everything might help lessen the blow. 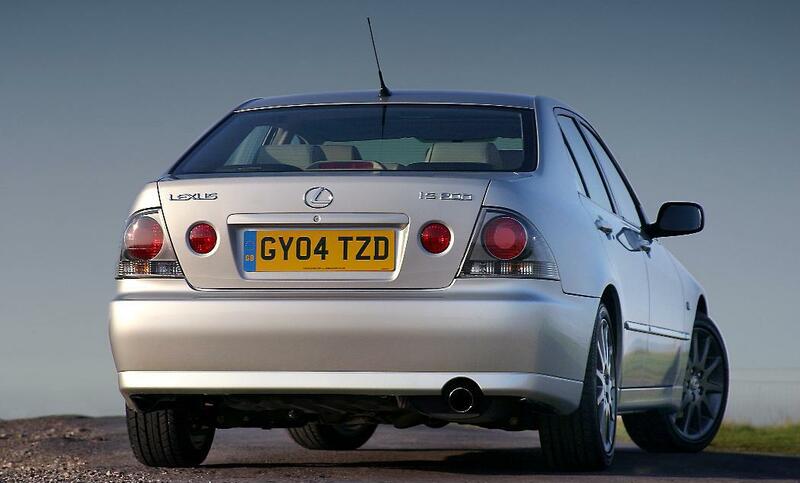 One thing you cannot escape though is the Lexus style rear lights, yup, the IS started the whole damn craze that still lingers in the modified car world to this day, they are dated and utterly naff, but at least you can have some sort of claim to fame. Driver appeal and genuine race car potential are more reasons to look the 200's way. 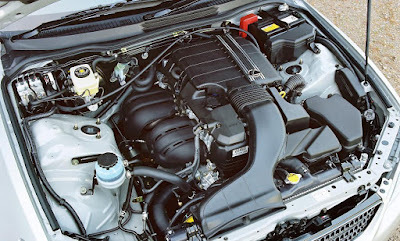 It all comes back to that drive train, smooth revvy 6 cylinder up front and rear drive makes for a excellent base. And when mated to a 6 speed manual the deal is surely only sweetened. 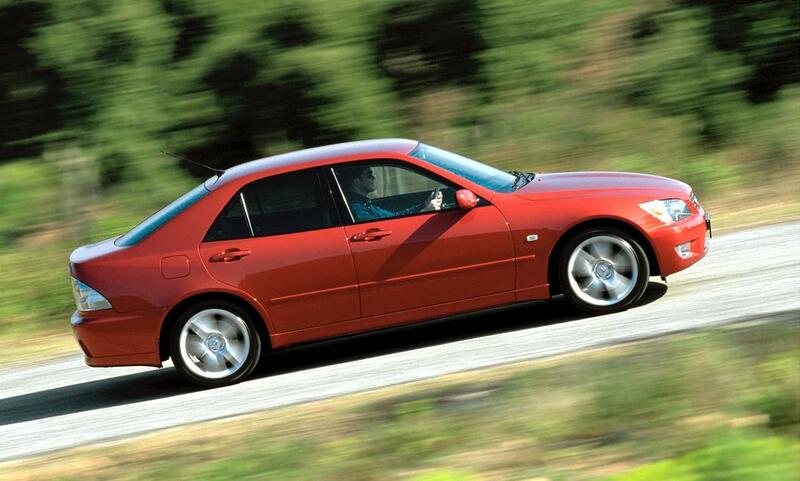 With direct steering, a composed, balanced ride and decent brakes the IS200 only gets better. With the inline 6 only displacing 2 litres the 200 is no rocket ship, making do with 114kw, revving it out is the only way to make real progress, no hardship of course, the VVTI likes a stretch. But if you do find it a little slow don't worry as being of Japanese origin means the IS is open to a whole range of modifications to make it faster. Watch here to see CarThrottle turn one into a track car and just listen to how good that engine sounds with an exhaust! I do like rarity in a car, being unique for me is part of the appeal and surprisingly a manual IS200 is rarer than an equivalent BMW E46 while still costing the same amount of coin. Prices range from $3000 for a rough high kilometer car to $10k for a modified one. Personally I'd go somewhere in the middle and a buy stock or just slightly modified example to give myself a blank canvas. The car I've chosen below is a good example and also happens to be the Sport LE version with a subtle body kit. 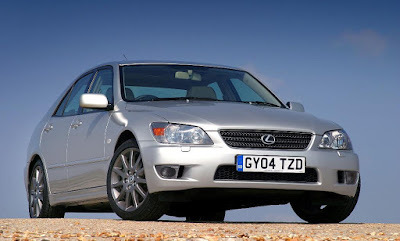 Overlooked and underrated the IS200 is a hidden gem in Lexus's back catalogue, with an engaging nature and a drivetrain copied straight from the boys in Munich the 200 might just be the dynamic sedan you never knew you needed. Do you have an old, worn out, or broken car that you want to get rid of? we will help you turn your scrap car into pockets of cash.